Manchester is one of the UK’s largest metropolitan conurbations, set in the northwest region of England in the ancient county of Lancashire, on the west side of the Pennine Hills. It is a city of the Industrial Revolution. It was born through enterprise, industry and the establishment of the textile mills through which it became prosperous and world famous – the providential coincidence of climate, natural resources and geography, the inventiveness of its people, the early building of transport infrastructures, and a powerful industrial entrepreneurial spirit which typified the region then as it does today. Manchester is an old town which has been inhabited since Roman times, when General Julius Agricola built a fort just north of the site of present day city, though it was not until the 18th century that this hitherto remote and inconspicuous little town sprang into the forefront of world attention by being the birthplace of the Industrial Revolution. 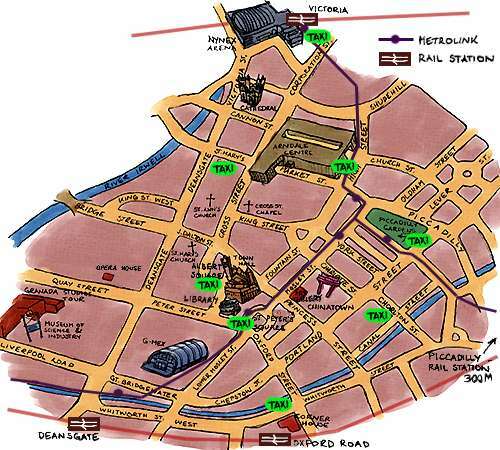 The City of Manchester and innumerable small satellite towns and villages surrounding it saw the rapid growth of factories manufacturing merchandise for cotton weaving and spinning, dyeing, fulling and all aspects of the textile industry. Manchester was nicknamed “Cottonopolis” where ‘King Cotton’ ruled. It held onto its reputation as the prime source of world textiles until its decline in the 1950s, when cheaper foreign imports sounded the death knell for the region’s pre-eminence. Manchester is a big place. While 2.6 million people live within its actual boundaries, over 7 million others live in the wider region, making it second only to London in Great Britain. Rail connections to and from Manchester airport, as well as the rest of the UK, can be caught from Manchester Piccadilly train station which is a couple minutes walk from north campus. Piccadilly station is open 24 hours a day for travel, although many of the shops and facilities at the station close late in the evening. Tickets and information regarding train times etc can be obtained at the station. Train times can also be found in German, English, French & Italian here. Train times and advance tickets can also be purchased on-line at Virgin trains. When was the SKA Office Opened? The SKA Headquarters was inaugurated in 2013, but was opened in late 2012. 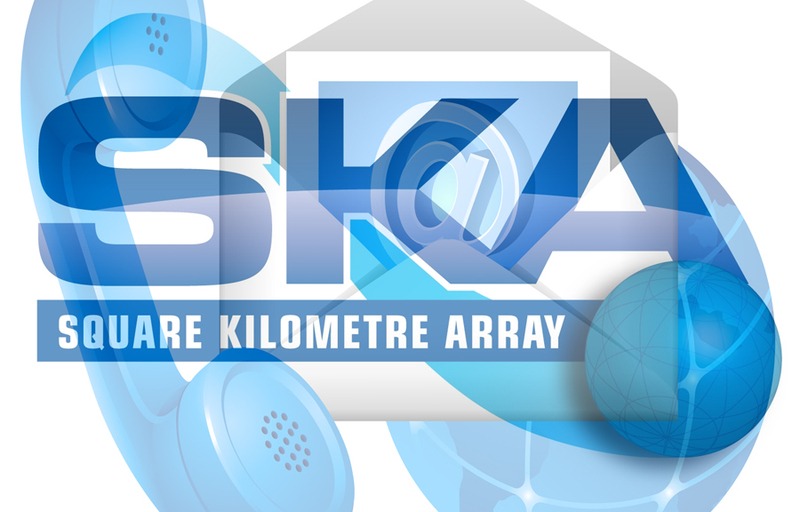 I wish to visit the SKA? How many people work at the SKA Offices?